The Toronto International Film Festival is now open for submissions for its 36th annual festival. The festival affectionately known as TIFF is considered by many to be one of the very top film festivals in the world and is the largest public festival. It is also considered by many to be a launch pad for the Academy Awards. Audience Award winners that have gone on to great success at the Oscars include American Beauty, Slumdog Millionaire and the 2010 winner The King's Speech which triumphed last night at the Oscars. TIFF is a great opportunity to launch any project. But it is highly competitive as they receive thousands of submissions each year. Last year, they received 3,526 submissions (2,677 International, 849 Canadian), but screened only 339 films (258 features, 81 shorts). If you get in, you'll want to spend as much time at the festival as possible as it offers many great opportunities -- not just watching films, but learning, networking, parties and many industry events. You may want to have a look back at my recap of the 2010 festival. The deadline for submissions is April 29, 2011. There is a late submission deadline of May 27, 2011, but at an increased submission fee. Canadian Features | Longs Métrages Canadien Feature films with runtimes of 50 minutes or longer, produced or co-produced in Canada and directed by a Canadian citizen or resident. Note: The Festival expects all films it presents to be at minimum North American premieres unless special arrangements have been made with the Festival Organizing Committee. Canadian Documentary Features | Longs Métrages Documentaire Canadien Documentary films with runtimes of 50 minutes or longer, produced or co-produced in Canada and directed by a Canadian citizen or resident. Canadian Shorts | Courts Métrages Canadien Films with runtimes less than 50 minutes, produced or co-produced in Canada and directed by a Canadian citizen or resident. International Features Non-Canadian films with runtimes of 60 minutes or longer. International Documentary Features Non-Canadian documentary films with runtimes of 60 minutes or longer. The principal objective of the non-competitive Toronto International Film Festival is to promote and encourage awareness, appreciation and understanding of the art of cinema. Our mandate is to present the most outstanding films produced in every part of the world. Films are selected on the basis of quality and originality. Preference is given to premieres. The Festival also promotes contacts between industry professionals to assist in the development of the Canadian motion picture industry. • Presents one of the world's largest annual showcases of Canadian film with the Canada First!, Short Cuts Canada and Canadian Open Vault programmes. • 2010 edition received approximately 3,500 international and Canadian submissions and screened 339 films. • 2010 edition had 19 programmes in which films from 59 countries were screened. • Presents at least two public screenings of every invited film and at least one screening for press and industry. • Accredits over 1,000 Canadian and international media. • Attracts thousands of Canadian and international industry delegates. As one of the world’s most important cultural events, the Festival consistently strives to set the standard for excellence in film programming. The Festival also serves as a platform for Canada's artists to share their stories. Audacious in its selection and supported by the strength and intelligence of its international audience, the Festival has become the landmark destination for the moving image and is forging ahead, seeking new ways to engineer creative and cultural discovery through film. The 2011 Toronto International Film Festival will include, but will not be limited to, the following programmes: Gala Presentations, Special Presentations, Masters, Canada First!, Short Cuts Canada, Contemporary World Cinema, Visions, Discovery, Vanguard, Real to Reel, Midnight Madness, City to City, Wavelengths and TIFF Kids (formerly Sprockets Family Zone). Selected films will be placed in the appropriate programme by the Festival Organizing Committee in consultation with the filmmaker. Lead Sponsor Bell; Major Sponsors RBC and BlackBerry; Supporters the Government of Ontario, the City of Toronto and Telefilm Canada. ®The Toronto International Film Festival is a registered trademark of Toronto International Film Festival Inc.
Late Submissions: The Festival will accept late submissions of Canadian Short Films between April 29 and May 27, 2011. An increased entry fee will apply. If your film is not ready for screening by May 27, you must contact the Canadian Short Film Selection Committee immediately. Late Submissions: The Festival will accept late submissions of Canadian Feature Films between April 29 and May 27, 2011. An increased entry fee will apply. If your film is not ready for screening by May 27th, you must contact the Canadian Film Selection Committee immediately. NOTE: If you wish your film to be considered for Midnight Madness, please also send a letter and a separate copy of your film addressed to Colin Geddes, the Festival’s Midnight Madness programmer. Late Submissions: The Festival will accept late submissions of Canadian Documentary Films between April 29 and May 27, 2011. An increased entry fee will apply. If your film is not ready for screening by May 27, you must contact the Canadian Film Selection Committee immediately. NOTE: Programmers will view only one version of a submitted film. i. Be available to screen in either 35mm, HDCAM or DCP (D-Cinema) by August 19, 2011. The Festival does not screen work in any other format. Re: HD Video. We accept Sony HDCAM cassette in the HD 1080 format at any of the following frame rates: 60i, 59.94i, 24P, 23.98P, 50i, 25P. Image should be non-anamorphic with the image pillar or letterboxed to the appropriate aspect ratio if it is other than native 16:9. Audio should be an LtRt or pro-logic compatible mix on tracks 1, 2 with the option of Dolby E on tracks 3, 4. All Festival venues supporting HDCAM playback are equipped for Dolby E.
Re: DCP (D-Cinema). We only accept content that is fully DCI compliant; however, content does not need to be encrypted. Content must arrive on a SATA 3Gb/s compatible drive mounted in a DX115 carrier and include a USB adapter for venues that are not equipped to take advantage of drive bay connectivity. A minimum of three hard drives are required (two if the film is only scheduled in two venues) in order to meet the demands of the ingest schedule for the Festival. TIFF’s Print Traffic department will supply the following information to the designated KDM contact only after the Programming department has locked the screening schedule and communicated screening time and venue information to the scheduling contact(s) but no earlier than August 1, 2011: make, model and serial numbers of servers and projectors; firmware versions used in servers and projectors; server certificates. Additional formatting and packaging guidelines for both DCP and HDCAM are provided in the Technical FAQ. ii. Not have been previously screened commercially in Canada (exceptions may be made for French and non-English-language films which have played without English subtitles) nor available on the Internet prior to September 19, 2011 (exceptions may be made for Canadian short films previously posted online). iii. Be in their original language with English subtitles, if the original language is other than English. iv. Have been completed after September 1, 2010.
v. Films previously submitted to the Festival and not programmed will not be reconsidered for the 2011 programme. NOTE: The Festival expects all films it presents to be at minimum North American premieres unless special arrangements have been made with the Canadian Film Selection Committee. NOTE: Short Films that are designed for online posting must meet the requirements for source material listed in the Submission form. For programming consideration, the Festival only accepts DVD submissions. • DVDs must be formatted in MPEG-2 video for Region 1/North America or Region 0/ “no region, i.e., that the DVD is authored as a video DVD and is not burned as a data disk containing quicktime or other similar file formats. • Please test your DVDs thoroughly before sending. • Please indicate if the submission is a rough cut or work-in-progress. • Screen burn-ins are acceptable. • There is no programming value for DVD submissions arriving in unusual or unorthodox containers. Please avoid excessive packaging and the inclusion of any materials other than what are specified. The Canadian Film Selection Committee selects and invites all Canadian films presented in the Festival. Filmmakers selected to participate will be notified by August 5, 2011. Filmmakers not selected will be notified by email. Fax and/or international post will be used where no email address is available. NOTE: To be considered Canadian, films must be a Canadian production or co-production and be directed by a Canadian citizen or Canadian resident. Only films directed by Canadian citizens or residents are eligible for Canadian film prizes. To accept the invitation, click “Accept Invitation” where you will be directed to a series of questions that must be completed to confirm your participation in the 36th Toronto International Film Festival. The Online Selected Film Registration Form must be completed within 48 hours of receiving the official invitation. The Festival must receive a 35mm print, DCP or HDCAM cassette by no later than August 19, 2011. Please Note: No film, once programmed, can be withdrawn. You will be required to submit publicity materials including, but not limited to: filmmaker biography, trailers, images, clips and an electronic press kit. All publicity materials are to be sent at the sender’s expense by the deadlines provided at the time of selection. The scheduling of films is determined by the Festival. 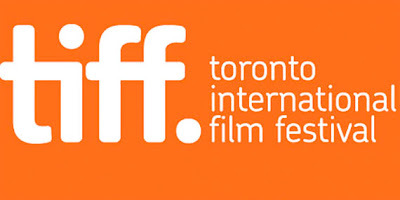 The International Federation of Film Producers Associations (FIAPF) permits up to five screenings of invited films at the Toronto International Film Festival, including both public and press & industry screenings. The Festival assumes your consent to up to five screenings unless we receive a written petition otherwise. The date(s), time(s) and location(s) of exhibitions of the films shall be at the discretion of the Festival. The Festival expects that the filmmaker and any other guests attending with the film will be present, at minimum, the first two public screenings of the film for both the introduction and question & answer session. NOTE: All film screenings have an introduction and question & answer session, with the exception of those at Roy Thomson Hall, which only have an introduction. All film screenings at Roy Thomson Hall will include a red carpet event before the film screening. Red carpet events at all other venues are at the discretion of the Communications and Programming departments. If your film has been selected for a red carpet, the Communications department and venue-specific Programming representatives (PALs) will be in contact in August with further details. The Festival is pleased to offer livery service for the day of the first public screening of all films in the Gala Presentations programme and select films in the Special Presentations programme – the latter based on availability – through its Cadillac Stars in Cars programme. The Festival Programming staff will communicate further details on this programme in early August. Using this service is obligatory for all films to which it is offered. The Festival will insure the integrity of the exhibition copy from the time of delivery to the Festival to the time the exhibition copy is delivered to a shipping agent for return. In case of loss of or damage to an exhibition copy, the Festival must receive notification and independent verification of such loss or damage prior to October 14, 2011. The Festival's obligation is limited to compensating the producer only for the cost of replacing the damaged components thereof. i. All shipments to the Festival must be prepaid. The Festival cannot accept any collect shipments of preview or publicity materials. Film prints will be returned at the sender’s expense as soon as possible following the selection screening. The recommended courier is FedEx, where available. Please do not consign shipment to a freight forwarder. iii. You can obtain confirmation of delivery through the courier tracking service. Late Submissions: The Festival will accept late submissions of International Feature Films between April 29 and June 3, 2011. An increased entry fee will apply. NOTE: If you wish for your film to be considered for Midnight Madness, please also send a letter and a separate copy of your film addressed to Colin Geddes, the Festival’s Midnight Madness programmer. NOTE: If you wish for your film to be considered for TIFF's 2011 City to City films from Buenos Aires, please send a letter and a separate copy addressed to City to City programmers: Cameron Bailey and Kate Lawrie Van de Ven. Late Submissions: The Festival will accept late submissions of International Documentary Feature Films between April 29 and June 3, 2011. An increased entry fee will apply. NOTE: The Festival does not accept unsolicited films under 60 minutes from any country other than Canada. ii. Films cannot have been/will not be publicly telecast prior to September 18, 2011. Feature films cannot have been/will not be available on the Internet prior to September 19, 2011. NOTE: Films produced or co-produced in Canada should be submitted using the separate Canadian Feature or Canadian Short submission forms. Note that only films directed by Canadian citizens or residents are eligible for Canadian film prizes. Festival Programmers select and invite all films presented at the Festival. Filmmakers selected to participate will be notified by August 5, 2011. Filmmakers not selected will be notified by email. Fax and/or international post will be used where no email address is available. To accept the invitation, click “Accept Invitation” where you will be directed to a series of questions that must be completed to confirm your participation in the 36th Toronto International Film Festival. The Online Registration Form for Selected Films must be completed within 48 hours of receiving the official invitation. NOTE: All film screenings have an introduction question & answer session, with the exception of those at Roy Thomson Hall, which only have an introduction. The Festival will insure the integrity of exhibition copies only from the time of delivery to the Festival to the time the exhibition copy is delivered to a shipping agent for return. In case of loss of or damage to an exhibition copy, the Festival must receive notification and independent verification prior to October 14, 2011. The Festival's obligation is limited to compensating the producer only for the cost of replacing the damaged components thereof. i. All submissions must be sent prepaid. The Festival will not accept collect shipments. Exhibition copies will be returned at the sender’s expense as soon as possible following the selection screening. The Festival will not assume responsibility for, nor will it accept, shipments incurring expenses for terminal charges, duties, taxes or customs brokerage. Clearly indicate on all waybills that transportation and customs charges be billed to the sender. • Declaration "Goods on loan for Festival purposes only. No commercial value. Non-pornographic." b. The commercial invoice must be included with the courier waybill. If you are shipping via international post, please affix a customs declaration label to the outside of the package. The recommended courier is FedEx, where available. The Festival will not accept shipments via United Parcel Service (UPS) since this company does not deliver international duty-free shipments to Toronto. Please do not cosign shipment to a freight forwarder. The Toronto International Film Festival endeavors to take all reasonable anti-piracy precautions. While on Festival premises, copyrighted materials are securely stored and vigilantly inventoried. Access is limited to our submissions, programming, print traffic and projection staff. No duplication or loaning is permitted. By submitting your material to the Festival, you hereby release the Festival from any and all risk and liability in the event of theft or breach of copyright of your materials while on Festival premises. If you wish to discuss any security measures for Festival screenings, please advise us separately by email at security@tiff.net. The Festival Organizing Committee reserves the right to rule on cases not foreseen by these regulations, but in accordance with international regulations. Participation in the 2011 Toronto International Film Festival implies acceptance of the Rules and Regulations by producers and their agents. Should the meaning of these regulations be contested, the English version will be considered the authentic one. The Festival is recognized by the International Federation of Film Producers Associations (FIAPF). THIS FILM HAS BEEN SUBMITTED FOR CONSIDERATION WITH THE KNOWLEDGE AND CONSENT OF THE PRODUCER(S) LISTED IN THIS FORM. I ACCEPT RESPONSIBILITY for the accuracy of the information supplied in this application and I authorize the Festival to reproduce company contact information in its publications exactly as supplied below. The Toronto International Film Festival collects personal information supplied in the application solely to facilitate management and administration of its activities and responsibilities as it relates to the film being submitted. The Toronto International Film Festival safeguards this personal information against loss, theft and unauthorized access or disclosure. By supplying this personal information you consent to its use. Permission for film clips not exceeding two minutes in length to be used for promotional and editorial coverage on television, radio programmes and the Internet is granted upon entry unless otherwise stated. The person who has completed this entry form has READ and AGREES TO ABIDE BY all regulations and statements provided with this form.